.... Sometimes we find our lives placed on hold. Deep questions begin to surface. How long must I wait? Is there any meaning to all this waiting? Can I trust God? We can't help but wonder what is happening—and why? 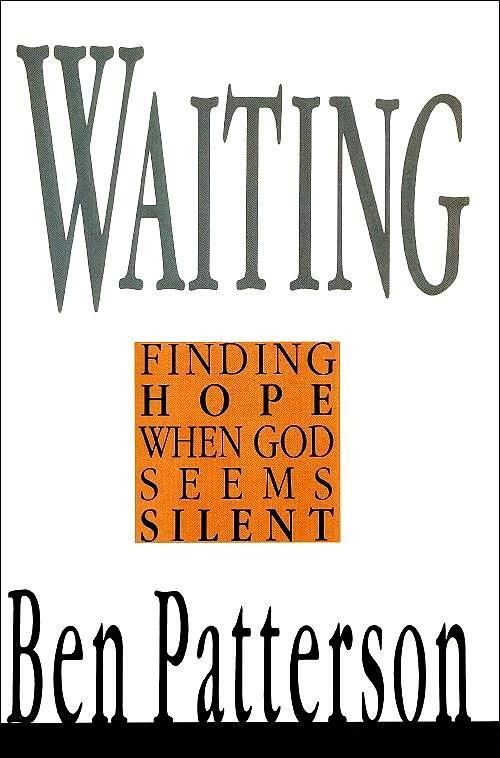 In Waiting, Ben Patterson uncovers two cardinal virtues required for successful waiting—humility and hope. You will learn how humility teaches us we exist for God's sake, not for our own; and you will learn how hope assures us that there is something worth waiting for. Does it strike you as odd that a book on waiting has scarcely mentioned the word patience? Or perseverance? Aren't those the virtues that we are to exercise when we are forced to wait? They are, but they are secondary to what really is needed to wait with grace. More basic than patience or perseverance are humility and hope. These two are the attitudes, the visions of life, that make patience possible. Patience is a rare and lovely flower that grows only in the soil of humility and hope. Humility makes patience possible because it shows us our proper place in the universe. God is God, we are his creatures; he is the King, we are his subjects; he is master, we are his servants. We have no demands to make, no rights to assert. I can be impatient only if I think that whatever it is I want is being withheld or delayed unfairly. As Chuck Swindoll put it, "God is not in your appointment book; you're in his." His superiority is not only in power and authority, it is in love and wisdom as well. He has the right to do whatever he wants to do, whenever he wants to do it, but he also has the love to desire what is best for all his creatures and the wisdom to know what is best. He is superior to us in every conceivable way—in power and love and wisdom. To know that is to be patient. The Almighty and everywhere present power of God; whereby, as it were, by his hand, he upholds and governs heaven, earth, and all creatures; so that herbs and grass, rain and drought, fruitful and barren years, meat and drink, health and sickness, riches and poverty, yea all things come not by chance, but by his fatherly hand. It's a good book to read before you are in distress. It helps prepare you for the frustrations and hardships of life, but far more importantly, it reminds you that God is God and you are not.